Suzie's Farm Second Annual Autumnal Equinox Dinner is tomorrow! Those of you lucky enough to have a ticket to The Second Annual Suzie's Farm Autumnal Equinox Dinner are in for a real treat tomorrow! Chefs Joe Magnanelli, Max Bonacci and Javier Plascencia along with the crew at Suzie's Farm are working hard to bring you the dining experience of the year! Guests will enjoy appetizers in the two-acre sunflower maze and a three course meal with beverage pairings at Sun Grown. Watch the video below to see what the chefs have to say about Slow Food in our city. AED Chef video from SFUSD on Vimeo. This event is sold out so be sure to keep an eye out for next year! 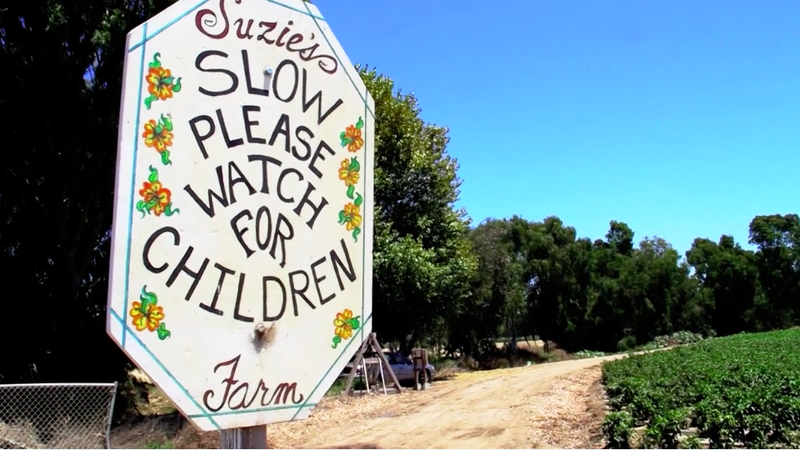 This month we caught up with Robin and Lucila of Suzie's Farm. Watch and learn from these San Diego visionaries who are responsible for 70 acres of organic produce in the Tijuana River Estuary. If you are inspired by the scenery, be sure to consider attending September 22nd's Autumnal Equinox Dinner!